Does your kitchen ring with the words, “That’s the last tomato I’ll EVER de-seed!” at least once a week? Maybe your sink has hosted one too many soul-searching moments while scrubbing burned rice out of the pot? The web is bubbling over with fantastic recipes, but even the most mouthwatering meal can’t soothe the irritation of annoying cooking steps. Fear not, kitchen supplies can be the cure for your culinary stress just as easily as they can be the cause. 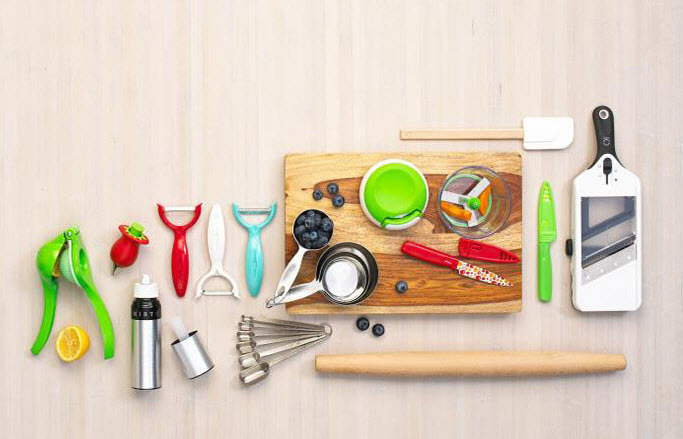 These kitchen gadgets are guaranteed to earn their place in your cabinets, and all at a great value besides. Seedy tomatoes will quake on their stalks and avocados will slip out of their peels with ease when you’ve got this lovable troop of innovative scoops. The melon baller makes fruit salads a snap, but the real genius lies in the two large hoop-scoops. Simply slide the curved stainless steel safety blades underneath the flesh of your favorite fruits and veggies, then scoop your way to easy cooking. Perform the same motion up high after cutting the produce in half, and bam! Instantly seeded tomatoes, oranges, apples and more. Why cross your fingers every time you take the lid off a pot of rice when the microwave works just as well? This all-in-one microwave rice sensation from Joseph Joseph is the perfect way to whip up a perfect dish of rice, every time. You can even add your own spices and seasonings before cooking, so your flavors of choice are infused deep into every grain. Store-bought dressing is expensive and loaded with sugar and unnecessary ingredients, while an at-home vinaigrette is easy-peasy. But if you’ve been relying on recycled water bottles and leftover dressing containers to hold your favorite recipe, this OXO Salad Dressing Shaker is about to blow your mind. Easy-reading measuring indicators make it a snap to portion your ingredients, while the watertight and leakproof seal keeps your dressings fresh and ready to serve at any time. 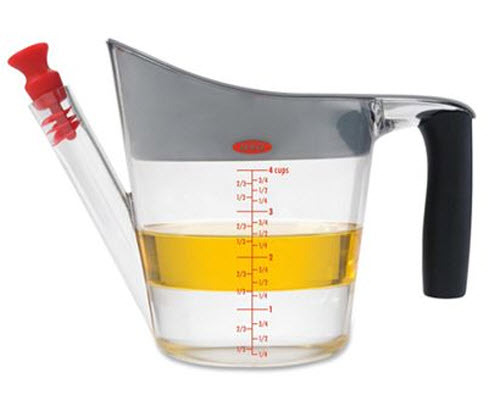 The built-in strainer ensures any bits and bobs stay out of your precious liquid. Simply pour soup, stew, gravy and more through the strainer, then watch as the fat rises to the surface. The clever spout placement ensures only deliciously de-fatted goodness comes out when it’s time to serve. Nothing’s better than some freshly made butter on top of a pile of pancakes, but you can leave the butter churn behind. This super simple butter maker means you can whip up a batch of mouthwatering dairy goodness with even the most inexpensive cream. Simply pour, shake, then detach the all-in-on serving ramekin to bring to the table. Once the butter begins firming up, you can even throw in favorite ingredients like blueberries, honey or brown sugar.